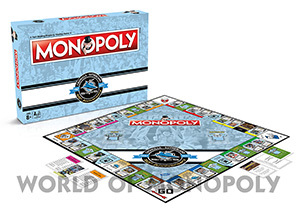 Bankrupt your mates, buy up big and the last man, woman or child standing, or at least holding the cash, wins. It’s the game of Monopoly as we all know it. 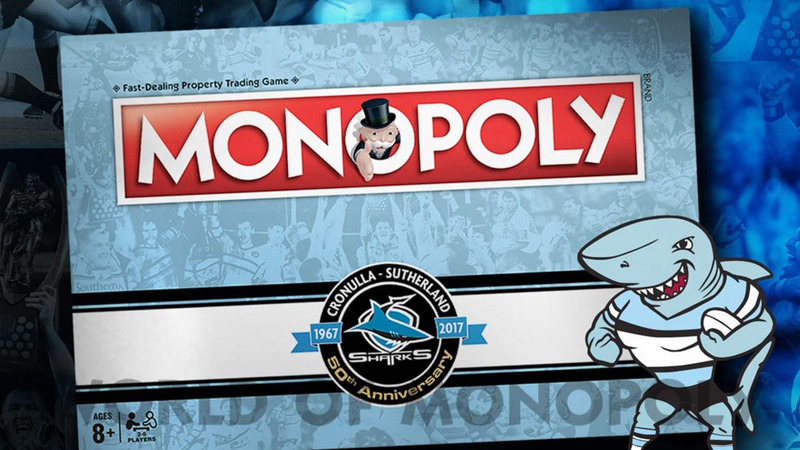 But the difference is, this is Sharks Monopoly where players from the Sharks Team of the Half Century are there for the buying and selling, the travel spaces represent Sutherland Shire transport, you can be forced to pay membership fees and you accumulate grandstands and stadiums rather than houses and hotels. That age-old board game, enjoyed and loved for decades, has been "Sharkified", with Sharks Monopoly a must for all fans. 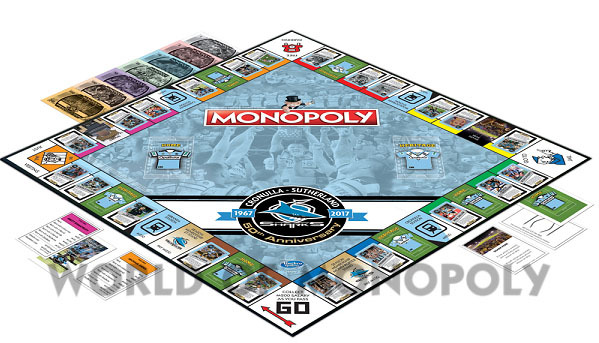 It features Paul Gallen, the current club captain and the man to lift the premiership trophy back in 2016. 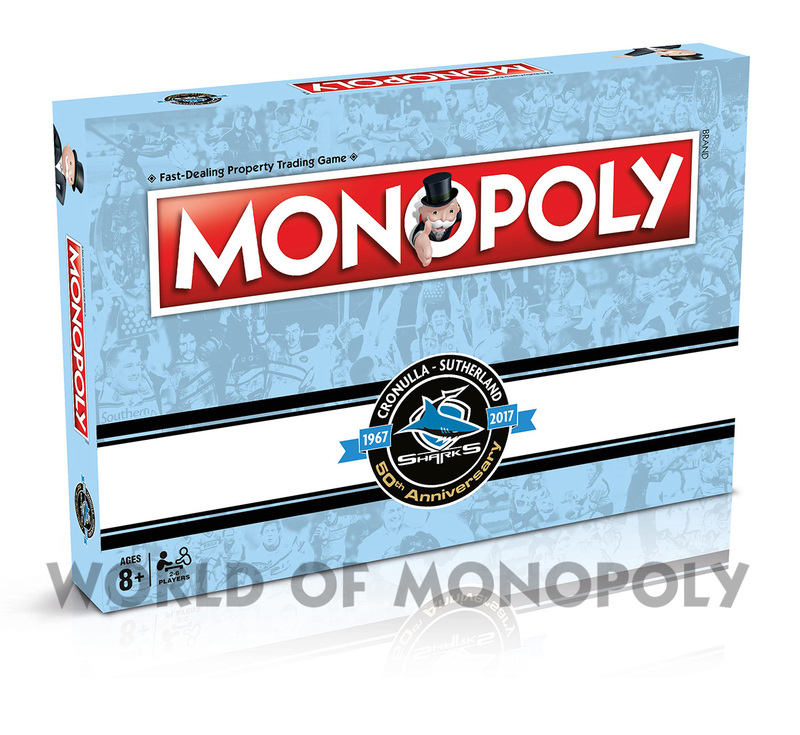 Aim high though if you want to add "Gal" to you Sharks Monopoly portfolio, with the skipper the most expensive player of them all. 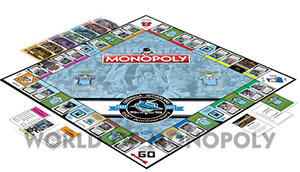 Sharks legends such as Ettingshausen, Rogers, Miller, Bishop and Pierce are represented, alongside current stars Fifita, Holmes, Lewis and Graham. It’s the Monopoly you know, with a distinct Sharks look and feel.